Consult the "Exams" page of this website for a study guide for this rubric. Consult the program for this rubric here. life? What do you personally need beyond the basic necessities of life? "to flourish" = "to grow or develop in a healthy way, especially as the result of a favorable environment"
3. Name several reasons why human beings live in societies (instead of in isolation). 4. Identify characteristics of a society that promotes the well-being of its citizens. 5. What do you as an individual expect to contribute to the society in which you live? 6. Watch "The Examined Life" (short video with contemporary philosopher Martha Nussbaum), noting principle ideas. With what do you agree? With what do you disagree? the well-being of its citizens. Are there rights that you would clarify further? Explain how and why. 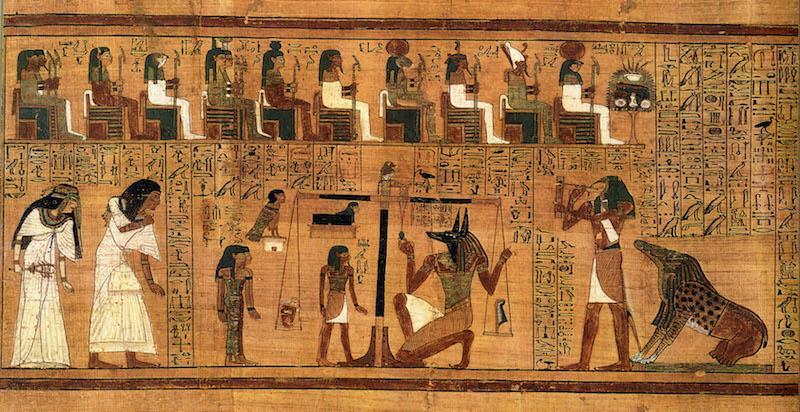 YouTube (TedEd): "The Egyptian Book of the Dead: A guidebook for the underworld"
1. What was the main purpose of a Book of the Dead? 2. Who was Ma'at? What concept did she represent? did the Egyptians consider inappropriate? were the Egyptians required to undertake? 1. According to Book IV of the Analects, what characterizes the "gentleman" or "superior man" (junzi)? How does the junzi see himself? How does the junzi treat others? How does the junzi treat his parents? Compose a brief statement summarizing how the junzi interacts with fellow human beings. 3. Try to identify a modern American English term that captures the essence of junzi. 4. 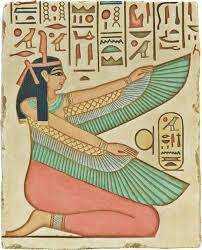 Identify similarities and differences between this code of conduct and the ancient Egyptian concept of Ma'at. 1. According to Aristotle, what are the two kinds of virtue (excellence)? 2. According to Aristotle, how does one acquire intellectual virtue (excellence)? 3. According to Aristotle, how does one acquire moral virtue (excellence)? 4. Aristotle states that virtue (excellence) is something we learn by doing. What does this mean? How is becoming an excellent person similar to becoming an excellent musician? (the intermediate or middle ground). Explore how that mean can change. 6. Identify a vice that has no opposing virtue. and the Confucian concept of reciprocity. What differences do you see? 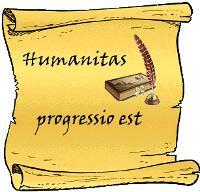 Happiness (human flourishing) is the ultimate end and purpose of human existence. Happiness is a goal and not a temporary state. Happiness is the perfection of human nature. Since human beings are rational animals, human happiness depends on the exercise of reason. 1. The Stoics maintain that excellence of character (virtue) is the only thing in life of real value. What does this mean? 2. 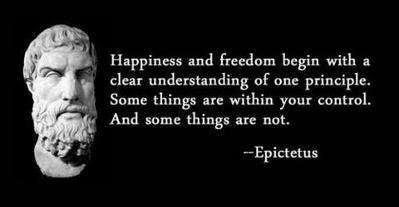 According to the Stoics, what can lead us toward a flourishing life? 3. 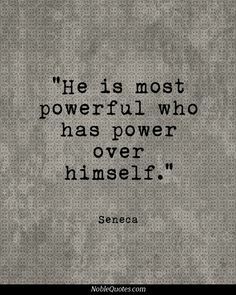 What do the Stoics say about "externals" such as power, monetary wealth, success, etc.? 4. How do the Stoics define "passions"? 5. What is the primary criticism Stoics make about emotions? 6. Is Stoic philosophy anchored in the past, the present, or the future? Explain. try to conform reality to my desires. This will lead to peace of mind, happiness, and virtue. about the thinking that created the emotion. is a form of training). Focus on acting from a good motive. problematic. Adjust my beliefs and expectations to fit reality: prepare my mind so I don’t lose it! 6. Live with compassion and respect for human rights (we’re all connected). 7. Cultivate right thinking through daily activities like meditation, contemplation, reflecting, journaling, etc. they are controlled by forces beyond their understanding. 9. Be calm in the face of adversity. Remain disciplined by using my mind (not pleasure or pain) to guide my behavior. multiple cultures and belief systems. flourishing community. Then compare your responses to those of other groups in the class. The Philosophers' Mail: "The Philosophers' Guide to Calm, Part 1"
"The Philosophers' Guide to Calm, Part 2"
"The Philosophers' Guide to Calm, Part 3"
"Can Confucianism Save the World? Reflections by Three Contemporary Political Thinkers"
Monty Python's "The Philosophers' Football Match"